This palm is commonly known as the Mexican Dwarf Blue Palm or the Sierra Madre Palm. This is one of the most sought after Braheas due to the rarity and beauty. This tree derives its name from the decumbent habit of the trunk which crawls along the ground. Brahea decumbens is rare and vulnerable in the wild because the seeds are usually eaten by insects or goats. The Brahea decumbens is a plant which has a natural growth habit of lying or growing on the ground with erect rising tips forming a rounded crown. It is native to Mexico and found in the exposed rocky limestone hills of the Sierra Madre Mountains. The most extraordinary characteristic of mature specimens of this palm is the phenomenal steel blue fans which are perhaps the bluest leaves of any palm. Each leaf can grow to a two and three foot wide half circle of stiff bluish segments and the petioles are armed with spines. The leaves glaucous blue color is due to a covering of a waxy bloom on both top and bottom, which is easily removed by touch. Offsets and seedlings have green leaves. This is also clumping species. Brahea decumbens is one of the hardiest of the Braheas. Brahea decumbens is one of the toughest palms around with high drought and frost tolerance. 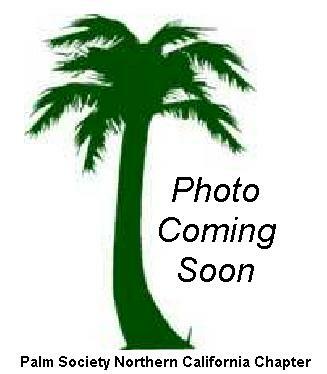 This is a slow growing palm which will grow best in full sun and will tolerate some shade. Consider a placement in the garden with southern exposure when used as an under-story palm. This palm is not particular about soil type and will do well even in poor soils, as long as it has excellent drainage. The inflorescence grows erect, above the foliage. Braheas have bisexual flowers, therefore only one specimen is necessary for the production of viable seeds. If you have an opportunity to add this to your collection, this handsome Blue dwarf will certainly add drama to your landscape.